Harpo and I first hiked the Bogachiel River trail when we were starting to train for the Appalachian Trail hike in 2013. It was as wet as we remembered. And although it’s hard to romp hip deep in icy water, we did our best. The trail was muddy, wet and due to recent storms there were numerous blowdowns – but it provided a welcome (if not wet) few hours of hiking. People laugh at us for hiking with umbrellas, then I remind them we’re from the PNW. We got to test some new gear – NRS Hydroskin .5 neoprene socks. These actually worked great when paired with wool liners – tho to say they are ‘waterproof’ is a misnomer. Neoprene works by allowing the body to heat a small area of water close to the body – so like using a wetsuit, you’re wet but warm. I tried the neoprene socks alone, wool socks alone, and the wool/neoprene combo. The wool/neoprene combo was definitely the warmest, allowing for a quick reheat every time our feet were drenched again. Both Harpo and I remarked we’de like try the neoprene socks if we hiked the AT again, especially towards the end of the season. I used lightweight DarnTough no show socks as liners the first day, and DarnTough hiker crew socks the second day – my only complaint is the wool socks retain too much water, causing the feet to feel super heavy. I’m excited to try the combo with thin REI wool liners, as well as experimenting with poly liners. These beat a bread bag for sure! Tho considering carrying the weight just for those times when your feet are wet all day is tough…. This entry was posted in gear, hiking, northwestschoolofmysticalhikers and tagged hiking, neoprene, northwest, olympic mountians, olympic national forest, Olympic National Park, olympics, pnw, socks, sox, wetfeet, wrongwaygang on December 10, 2015 by GROUCHO. The ferry ‘captain’ (I only use quotes because the ferry was a canoe) at Kennebec river said as we disembarked “This is the only place in Maine you’ll keep your feet dry.” To think we didn’t believe him. After a remarkably lucky stretch of good weather in at the outset and thorough the 100 Mile Wilderness, we finally got some heavy rain during our final days in Maine. Mud city…. And no dry socks for days. This image iz from the third day out of a 9 day stretch. 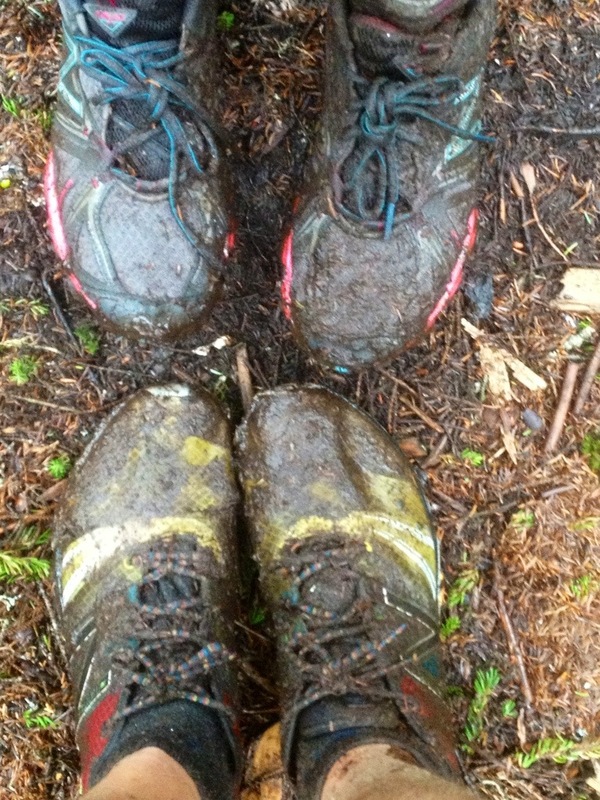 This entry was posted in gear, hiking and tagged AppalachianTrail, AT, hiking, newbalance, shoes, trailrunner, wetfeet on August 1, 2013 by GROUCHO.